1. Toast the bread slices until golden and rub each with a garlic clove. 2. Cut the avocados in half and remove the stones. Use a spoon to scoop out the flesh and place into a mixing bowl with lime juice, salt and pepper and mash with a fork. 3. 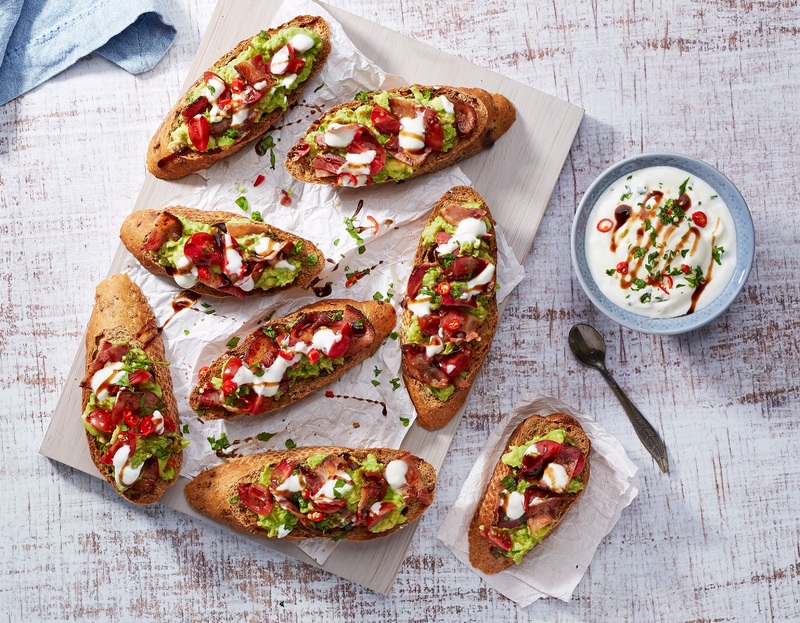 Spread the avocado onto the warm toast, top with tomato halves, pieces of bacon and drizzle with Rowan Glen Low Fat Bio Natural Yogurt and balsamic vinegar before serving.